Change management is more than a descriptive term—it’s a set of practices and guidelines that facilitate strategic institutional transformation. 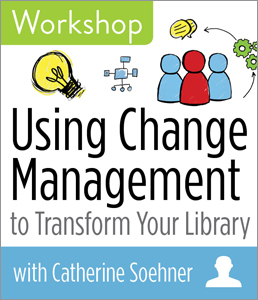 In this workshop, Catherine Soehner teaches you the principles and techniques of change management and how you can apply them to become a leader in transforming your library. 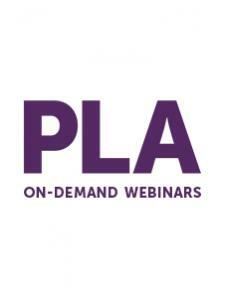 You will learn how to respond quickly and effectively to your colleagues, patrons, or employee’s anxiety and possible resistance to change; how to tackle and implement big ideas; and how to establish and achieve your libraries’ goals. Applying the tools of change management will enable you to manage the increased pace of change and maintain relevance to the communities you serve.